DMX: See an X-ray of your body in motion! 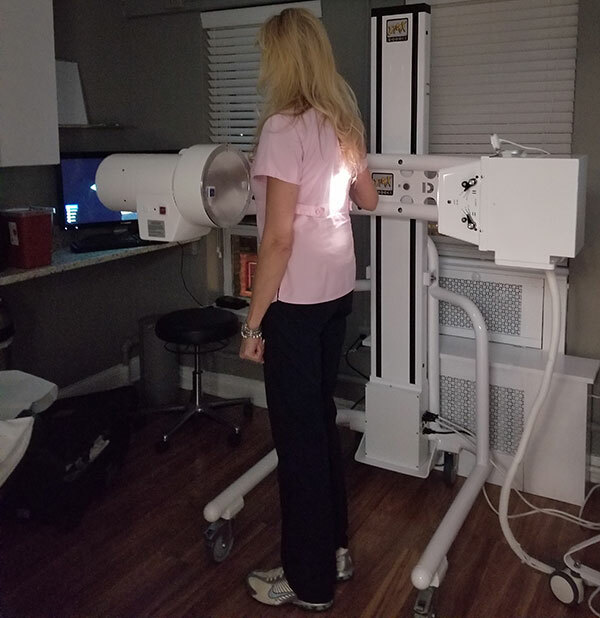 Digital Motion X-ray (DMX) is an amazing tool for visualizing why you have pain, and more importantly, help you and your provider determine the best treatment plan. DMX is ideal for anyone who has suffered a whiplash, concussion, or other neck injury and has developed chronic symptoms. DMX provides a unique look at the structures causing your pain and other joint instability symptoms. DMX can be especially helpful when MRI and static X-ray showed “nothing” but you still have chronic symptoms! DMX is a motion picture of the bones while a person is moving. It is a dynamic diagnostic tool, versus a static one, and can be used for all joints of the body. The scan is produced in real time, while the person is moving. Other terms for Digital Motion X-ray used in the medical literature or cineradiography or video fluoroscopy. DMX can show spinal and peripheral joint instability from ligament damage. Pain typically occurs with motion. By being able to see the bones in motion, DMX picks up the abnormal or excessive motion whereas MRI, CT scan and static x-rays do not. You could think about it this way: Static MRI is like a formal family portrait whereas DMX is the video of how your family really acts. When a person has joint instability, the increased motion between two adjacent bones causes excessive tension on the supporting structures and the nerve endings within those structures (which are not stretchable really) causing severe chronic pain. Most of the time the injury or weakness is in the ligamentous support of the joint. It is the primary responsibility of the ligaments to connect adjacent bones. When ligaments are injured, torn and weakened the adjacent bones move excessive and the body to limit this motion does one of the three things: 1. swells the joint; 2. causes muscle spasms around the joint; 3. bone spurs to form over the long-term. (See Figure) All of which limit motion. Cortisone shots to limit swelling, massages to relax muscles and surgeries to remove bone spurs often have only temporary effects because they don’t address the underlying cause of the issue which is joint instability. 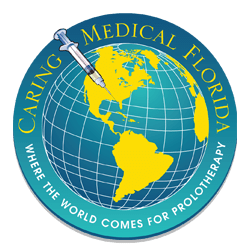 Prolotherapy, on the other hand, is the only treatment that addresses the instability in a non-surgical manner, thereby offering long-term pain relief. 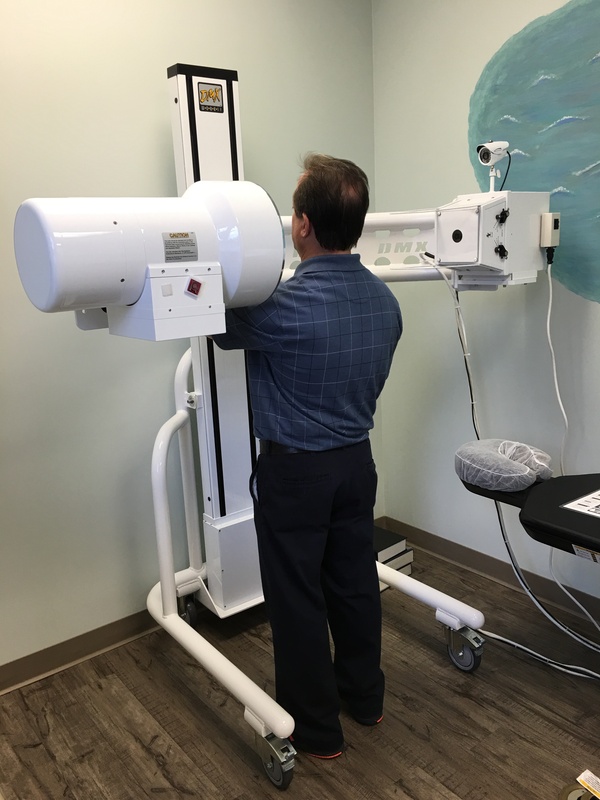 How is a Digital Motion X-ray performed? Once in position, the person puts his or her neck, spine or peripheral joint through a series of motions while the DMX is videotaping the bone movement. Digital Motion X-ray is similar to a movie camera. The camera takes 30 individual x-ray frames per second to create the motion x-ray. The successive x-rays are digitized and sequenced to create a video representation of the movement of the bones. Sometimes, additional views are done where the joint is put under stress: by the person holding a weight, by the person doing a specific exercise, or by the radiology technician or physician putting passive pressure in a certain direction to help document the instability. If I already had x-rays and MRI, how is Digital Motion X-ray helpful? Stationary x-rays and MRIs don’t typically show the cause of most chronic pain: joint instability from a ligament injury. The ligaments are the connectors of the joint, connecting one bone to another. When the connectors are not tight, the bones move too much. Ligament damage from car accidents, exercise, and routine twisting and bending are often not seen on routine x-rays and MRIs. However, can be more easily seen using Digital Motion X-ray while the person is moving, or while there is pressure on the joint. MRI and DMX are complementary, as the MRI is designed to show disc problems well, just as DMX is designed to show other soft tissue injuries. How quickly will I know my results? You will receive a link to see and download your actual scan on it immediately. An official report will follow. 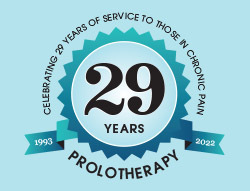 For patients of Caring Medical, the Prolotherapist will go over the DMX at your appointment. For patients who have Prolotherapy treatment scheduled for the same day as their DMX, the treatment will be done after the DMX exam. The report will be a comprehensive analysis of what was found during the exam, providing you and your healthcare team the information you need to make informed decisions on diagnoses and future medical care. 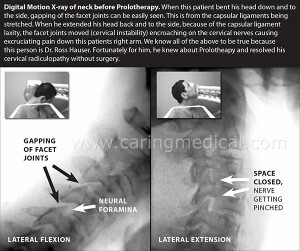 Check out Ross Hauser’s DMX Report, taken after he had been suffering from cervical radiculopathy. The report clearly shows cervical instability, which was then treated with Prolotherapy to stabilize the cervical vertebrae and stop the radiculopathy. Is DMX good for my case? Peripheral joint instabilities where a person’s occupation is at risk, including professional athletes, musicians or manual laborers. 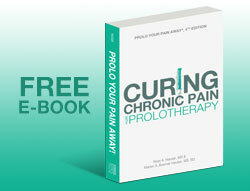 Conditions where Prolotherapy may be an option instead of surgery. A high percentage of the cases that come to Caring Medical have been told that surgery is their only option. 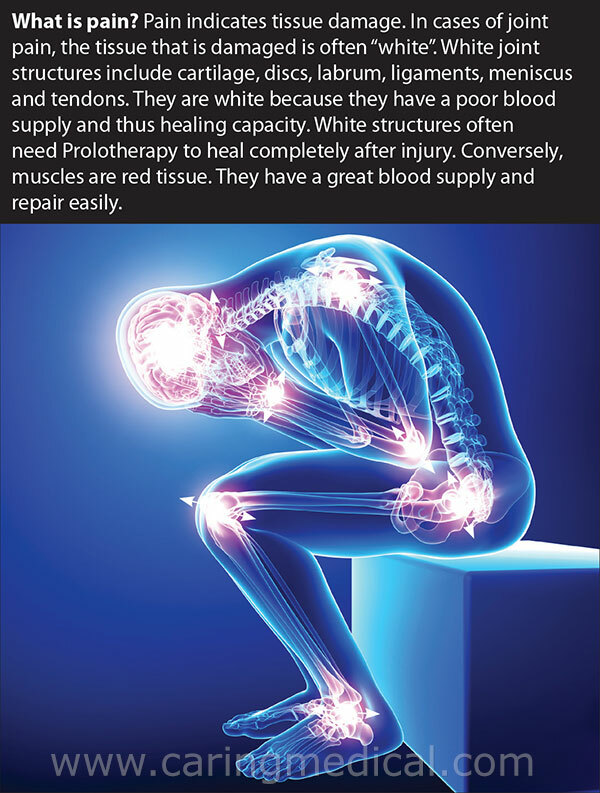 If a person doesn’t want surgery, then obtaining a DMX could point them to a more conservative option such as Prolotherapy. Injury cases. Some people are involved in litigation or insurance appeals and need documentation of the injury to help with a settlement or to get their medical care covered. Health care insurance coverage. Sometimes guided injections are preferred by insurers and may help treatment cost reimbursement for the patient. How much radiation exposure is there with DMX? Common Radiation Doses in mrem. *Approximately 550 mrem….the actual DMX machine measures total radiation exposure with each scan. Some scans at 90 seconds are more and some less than this depending on the collimation of the beam (filtering and amount of site exposure). Scans that are less than 90 seconds will typically have less than 550 mrem and those that are more than 90 seconds more than this number. 2Crawley MT, Rogers AT. Dose area product measurements in a range of common orthopaedic procedures and their possible use in establishing local reference levels. Br J Radiol. 2000; 73:740-744. 3Mahesh M. Fluoroscopy: patient radiation exposure issues. The AAPM/RSNA Physics Tutorial for Residents. Presented at December 1999 Radiological Society of North America scientific assembly, Chicago IL. From The Russell H. Morgan Department of Radiology and Radiological Science, John Hopkins University of Medicine, Baltimore MD. 4Tuohy CJ, Weikert DR, Watson JT. 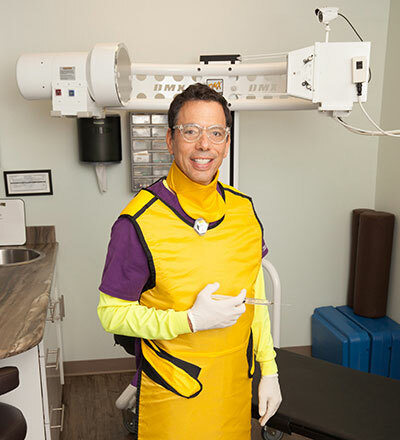 Hand and body radiation exposure with the use of mini C-arm fluoroscopy. J Hand Surg Am. 2011;36:632-8. 5Kim TW, Jung JH, Jeon HJ. Radiation exposure to physicians during interventional pain procedures. Korean J Pain. 2010;23:24-27. 6Actual measurements on radiation exposure from DMX. The total dosage of radiation is measured by the DMX. 8Manchikanti L, Cash KA, Moss TL, Pampati V. Radiation exposure to the physician in interventional pain management. 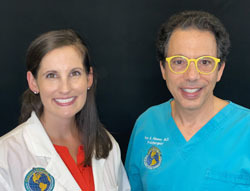 Pain Physician 2002;5:385-93. 9Cho JH, Kim JY, Kang JE. A study to compare the radiation absorbed dose of the c-arm fluoroscopic modes. Korean J Pain. 2011; 24:199-204. 10Singer G. Radiation exposure to the hands from mini C-arm fluoroscopy. J Hand Surg Am 2005;30:795-7. Where can I learn more about DMX?